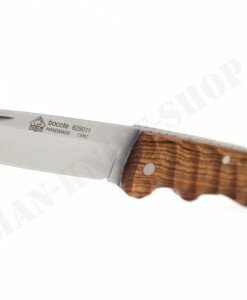 The beautiful snake wood is one of the most expensive woods in the world. 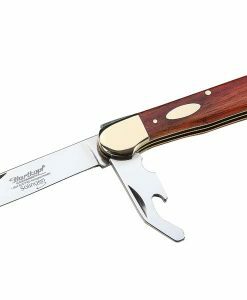 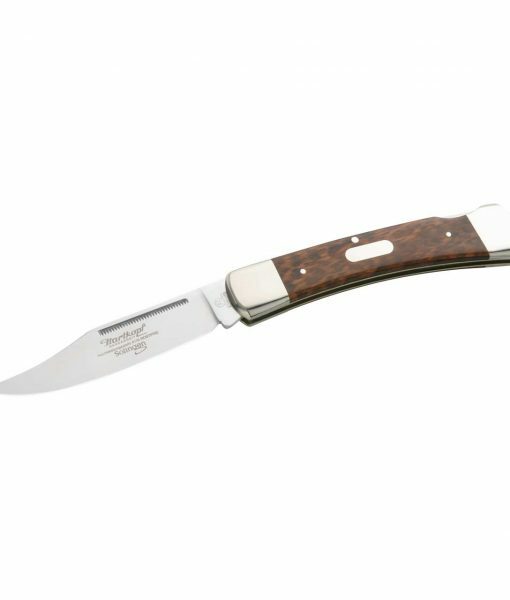 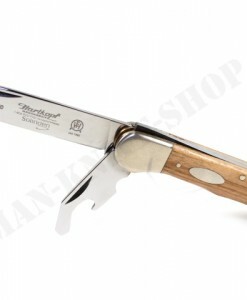 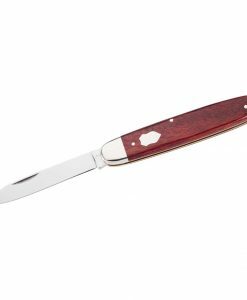 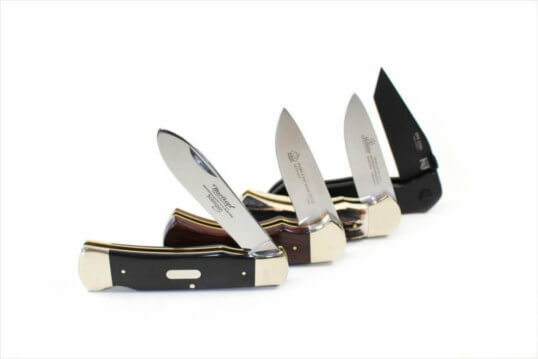 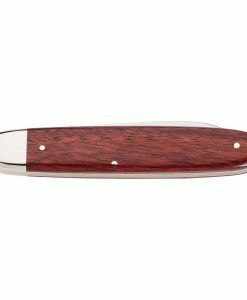 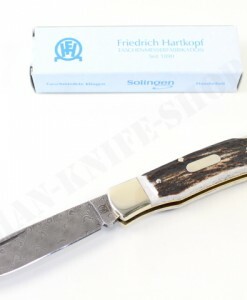 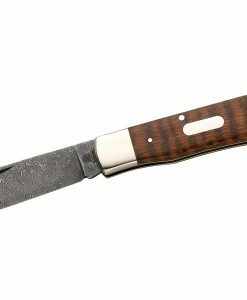 The staple shells of the Hartkopf pocket knife are made of this precious wood and cleanly adapted to the inside brass plates. 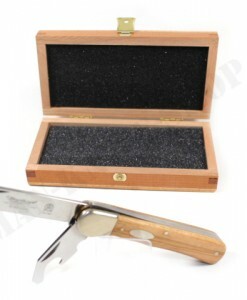 Polished nickel silver fittings follow the handle scales. 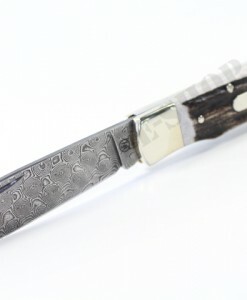 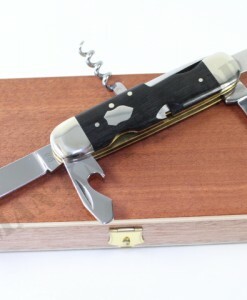 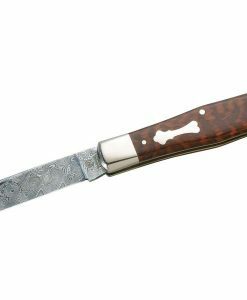 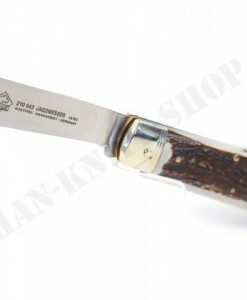 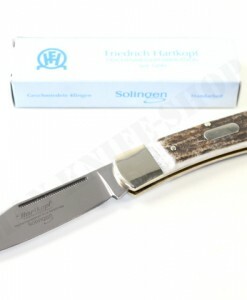 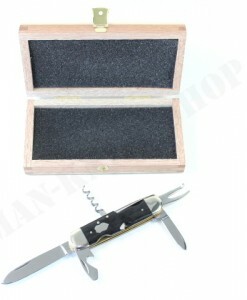 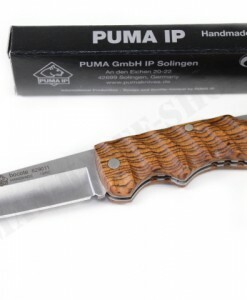 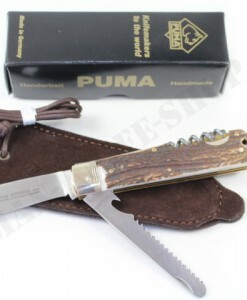 The blade in the popular pike shape is made of stainless steel 1.4110. 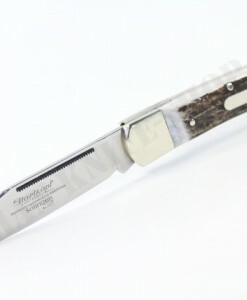 A back spring locks the blade after opening.